The infrastructure in Pennsylvania is in trouble and our roads, bridges, tunnels and transit systems are not going to fix themselves – they need funding. Earlier this year the PA Senate passed a $2.5 billion transportation funding proposal but the House has yet to vote on the measure … but time is running short for the state lawmakers to make a decision about the transportation funding bill. When elected officials return to Harrisburg on Tuesday, November 12, following their election recess, they only have about 10 session days to get the bill to Gov. Corbett for his signature before the end of the year. Most of the money (approximately $1.9 billion) in the transportation bill would go for road, bridge and tunnel improvements with an additional $500 million earmarked for mass transit projects. In April 2011, I cited a newly released Transportation of America study that named Pennsylvania as first in the nation for having the “largest percentage of structurally deficient bridges”. Without additional funding, the structurally deficient bridges are likely to be weight-restricted, and in some cases, closed. Beyond the obvious travel difficulties (and potential safety risks) for motorists, the deteriorating infrastructure is no boon to the state’s economic situation. The proposed transportation bill that is waiting for approval from State lawmakers significantly impacts two major Tredyffrin Township projects – the Paoli Transit Center and the PA Turnpike (in addition to the improvement of state roads and bridges in the township). The bill overwhelmingly cleared the Senate in June, what is it going to take for the lawmakers in the House to approve it and send it on to Gov. Corbett for his signature? Low approval ratings and a challenging reelection battle looming, has Corbett stumping for the passage of the transportation bill. According to the latest Franklin & Marshall College poll (October 2013), only one in five registered voters (20%) in Pennsylvania approve of the job that Corbett is doing and 61 percent believe that the state is “off on the wrong track”. You have to think that the passage of a $2.5 billion transportation bill that would improve roads, bridges and transit systems could help boost the Governor’s sagging approval ratings. On the other hand, Kampf has been vocal in his opposition of the proposed transportation bill, at least in its present form. Although Kampf in not questioning the need for infrastructure improvements, he objects to lifting the tax ceiling on gas wholesalers that would then be passed onto consumers as a means of paying for transportation improvements. According to his Op-Ed article on TE Patch, Kampf states that the, “passage of this legislation as it is today offers no guarantees for the future of that, or any other, local project.” We know that there is no guarantee on project allocation in the funding bill but there is a flipside to this argument — What happens to the Paoli Transit Center project if the currently proposed transportation bill passes the House without Kampf’s signature? I understand that Rep. Kampf does not want to increase taxes and is particularly concerned about what the increase in gas tax could mean to seniors, families, and small businesses that are already struggling. Kampf claims that the majority of the constituents who have contacted him do not support an increase in gas taxes to fund road, bridges and transit system improvements. As one of his constituents, I disagree. If he spoke to the 4,000 residents in the Great Valley, Chesterbrook and Glenhardie areas impacted by the PA Turnpike widening and sound wall project, I’m guessing that they too would encourage his support of the transportation funding bill. With a reelection campaign ahead in 2014, is Kampf’s political calculus that the voters will punish him for supporting the transportation bill if it means raising the cost of gas. In my opinion, it is more likely that the voters will punish him if he doesn’t support the bill, especially if it means the loss of the Paoli Transit Center and the PA Turnpike projects for Tredyffrin. It’s difficult for elected officials to support a tax increase when they are not running for office – but when its election year, the task is all but impossible. If Corbett does not have the proposed transportation funding bill on his desk in 2013, it seems unlikely that it will resurface in 2014 (election year). The infrastructure in Pennsylvania is in trouble and our roads, bridges, tunnels and transit systems are not going to fix themselves – they need funding and the money has to come from somewhere. The clock is running down for State lawmakers to maake a decision on transportation funding. The Return of Bob Byrne as TE Patch Editor! For those that follow AOL’s local-news network Patch, specifically TE Patch, there have been changes in the last several months, both personnel and formatting wise. On the formatting side of Patch, there’s a recent new look on the 900-plus Patch sites. Although the idea behind the changes was to make the site easier to use, I’m not sure if AOL was successful. For me, the jury is still out on the latest redesign. On the personnel side of TE Patch, we saw the departure of Bob Byrne as the local editor. Bob was the founding editor of TE Patch and for those that knew and considered him a friend, it was difficult to see him leave. As often happens in corporate structures, once an area is successful, they move whoever is responsible for that success to a struggling area of the company, in hopes that he/she can improve the situation. My guess is that is exactly what happened in the case of Bob Byrne. Known for taking the time to “find the story behind the story”, Bob quickly became a fixture in our community … he seemed to be everywhere. Whether it was Election Day, the opening (or closing) of a resturant or local business, the Board of Supervisors or School Board meetings or a local house fire, you could always find Bob, the ‘Patch guy’, in the crowd. As Pete Kennedy exits our community as Patch editor, we are lucky to see the return of Bob Byrne this week to TE! Because I had followed Bob’s byline when he went to Springfield and Havertown Patches, I knew that corporate decision makers subsequently moved him to Phoenixville Patch and also West Chester Patch. Wherever his assignment, Bob’s work reflected the same level of enthusiasm in getting to know the people of that particular Patch community. In TE, we have missed his personal touch and willingness to go the extra mile with stories. Here’s hoping that in the case of our local Patch, “if it ain’t broke, don’t fix it” applies and we can look forward to seeing Bob Byrne’s byline for a long time to come. The saga of the tennis courts at Valley Forge Elementary School continues. On April 2, representatives from the School Board, Tredyffrin Township Board of Supervisors, staff and the District’s architect held a public meeting to discuss the fate of the two tennis courts at Valley Forge Elementary School. Although there was support to save the tennis courts from those residents in attendance, no decision was made at the meeting. The tennis courts are on the Facilities Committee agenda for tomorrow (Friday), 2 PM at the TESD Administration Building. Also included in the agenda packet is the site map for the parking lot expansion and aerial view of the courts. I remain confused as to why the District wants to demolish the tennis courts. From a logical standpoint, some of the arguments simply do not make sense to me. The tennis courts are not located adjacent to the parking lot and their location does not affect the parking lot expansion plans. To add the 24 parking spaces does not require the demolition of the 2 tennis courts. There has been much back and forth between the School District business manager Art McDonnell and the Township Manager Bill Martin and Township Engineer Steve Burgo in regards to “trading” impervious surface requirement of the parking lot expansion by demolishing the courts. McDonnell claims that there was a prior agreement with former Township Manager Mimi Gleason in regards to this arrangement; Martin and Burgo claim otherwise. Township staff including the previous Manager (Ms. Gleason), Engineer (Mr. Burgo), and (Mrs. McPherson), attended meetings with Art McDonnell and TESD consultant staff on these Tennis Courts more than a year ago. In those meetings, the TESD discussed their plans to add a new parking lot at the VFES in the future. I want to be clear that the TESD and their consultants originally asked if they could swap the impervious, but were told by the Township that they couldn’t. Stormwater Management controls are required by the Township Stormwater Ordinance, for all new impervious being constructed onsite. There is no credit or swap if the courts are removed from a stormwater management standpoint, only from a zoning standpoint. On behalf of the District, Art McDonnell has publicly maintained that there was a ‘deal’ in regards to the impervious surface requirement. Yet as evidenced by Burgo’s email, the township has denied any such deal existed. Further, to the point, such a deal would be illegal as the stormwater ordinance makes no provision for such a credit. Therefore, we can only conclude that the School District represented by the business manager Art McDonnell has been less than truthful as to their rationale for demolishing the tennis courts. The construction of the additional parking spaces will require a zoning variance. According to VFES neighbor Matt Morgan, township officials indicated at the April 2 Facilities Committee meeting that they would expedite the process and probably waive the associated fees (if asked). Besides the impervious surface debate, another rationale for the removal of the tennis courts from the District was their cost to maintain. I have had a number of residents tell me that courts are in excellent condition – although I don’t claim any expertise on tennis courts, the 2 courts at VFES looked in good shape to me. Another neighbor to the tennis courts, Don Detweiler, has been providing routine maintenance for a number of years. Neither the School District nor the township has expended any dollars on the courts. In an April 1 TE Patch article , local resident Jeff Sacks, a tennis coach, is quoted as offering to pay the maintenance cost. According to Matt Morgan, a local Davis Cup tennis player who lives in the neighborhood and uses the courts, has offered to hold tennis clinics for children and donate the proceeds to maintain the courts. Beyond the ‘he said, she said’ aspects of this story, that has me shaking my head is the notion that the tennis courts are going to cost money unless they are demolished. According to the District, the cost to seek a variance from the township’s Zoning Hearing Board will be $12K – $14K; $2K in fees and the remainder in architectural fees. However, the supervisors stated at the April 2 public meeting that they would probably waive the fees if asked. And there would not be need for additional architectural services or drawings — the District could apply for a variance based on the current drawings. Why is there such a rush to take down the tennis courts? Why is the building of the 24 parking spaces contingent on the removal of the courts? It has been verified that there was no such ‘deal’ exists to swap the tennis courts for impervious coverage requirement. There should be a better reason to remove the tennis courts other than the courts are on District property and they School Board has the right to do what they want. It’s true the courts are on District property but the District property is owned by the residents. “There is no legitimate reason based on impervious surface, stormwater management, safety (or) sink holes to remove the court,” Mercogliano said in an e-mail. “The parking can be built in same area with no issue as there is more land space. “The community deserves their right to be heard and look into other means of raising funds for maintenance and possible takeover of the court through the Parks and Recreation board or a similar foundation to raise funds. I am supporting a delay to allow the opportunity for the taxpayer to seek an alternative method to save the courts for the kids. There will be a recommendation from the Facilities Committee tomorrow. If you are unable to attend the 2 PM meeting, you could send an email to the Board at: schoolboard@tesd.net or to individual Board members. However, I emailed the School Board president Kevin Buraks 8 days ago (in regards to the tennis courts) and to date, have received no response or acknowledgement to my inquiry. Tredyffrin’s Solicitor Vince Donohue claims that government does not seek to suppress public comment … Really? The Pennsylvania Sunshine Act requires all public agencies to take all official actions and conduct all deliberations leading up to official actions at public meetings. According to 65 Pa.C.S.A. § 708(a); Sunshine Act, Section 8(a), there are certain discussions that can take place in an executive session where the public is excluded. At the onset of every Board of Supervisors meeting, Michelle Kichline, in her capacity as chair, makes a statement that the Board met prior to the meeting in executive session to discuss legal and personnel matters. Under the provisions of the PA Sunshine Act, those township matters pertaining to personnel or legal matters are not discussed publicly In fact, if during the ‘New Matters – Citizens’ section of the Board of Supervisors meeting, a resident asks a question that falls into the legal or personnel category, either a Board member of the township solicitor quickly points out that they cannot respond to the question. Over years of attending supervisors meeting, I can attest that the solicitor does not permit the supervisors to respond to citizen questions that fall into personnel or legal areas. Understanding the provisions of the Pennsylvania Sunshine Act, it was surprising to read that Tredyffrin Township’s solicitor Vince Donohue had a public response on a legal matter in Main Line Media News article, ”Community Matters blogger Pattye Benson calls for Tredyffrin Township to adopt policy regarding the use of its website” written by Richard Llgenfritz. If you recall Llgenfritz wrote the story, “Tredyffrin zoning hearing board member not guilty after police are a no-show at her trial” in late August. His article, in addition to TE Patch, Philadelphia Inquirer, Daily Local articles, blog posts on Chester County Ramblings and telephone and email inquiries from residents, were the reasons that I conducted my mini-research investigation. As part of my research on the police matter, I spoke with Tredyffrin Township Board of Supervisors chair Michelle Kichline, Chester County District Attorney Tom Hogan, Tredyffrin Police Superintendent Tony Giaimo and District Judge Tom Tartaglio. For the results of my research and corresponding comments in post, “Community Matters closes the chapter on police investigation but Tredyffrin supervisor opens a new one”, click here. Because of the newspaper articles, blog posts and related public comments on the police situation, Tredyffrin Township supervisor John DiBuonaventuro decided to write and post a personal letter dated September 5, 2012 on the township website, using township resources and township letterhead. Although the use of government resources by an elected official is surprising, it was the fact that the other six supervisors, the township manager and the township solicitor sanctioned the behavior of DiBuonaventuro that underscored the importance for a township website policy. This past Friday, I posted the letter from my attorney Samuel Stretton on Community Matters. Stretton’s letter was sent to the seven members of Tredyffrin’s Board of Supervisors. I learned in Llgenfritz MLMN article, that Stretton’s letter was forwarded to the township solicitor Vince Donohue. No surprise as this was a legal matter and as the township solicitor, he clearly needed to be involved. However, because this is a ‘legal matter’ (remember the PA Sunshine Act and that legal and personnel matters in the township are not publicly discussed but held for executive session discussion), I was amazed that Donohue discusses Stretton’s letter with Llgenfritz. Gosh, I would think that Donohue should not be talking about sending a response to Stretton – isn’t this a legal matter? And then to further throw out there that it would be up to me whether I make the letter public or not? To my knowledge, Stretton has not received a letter and I certainly have not seen any letter from Donohue. (I will assume that Donohue’s response is ‘in the mail’). So, I am struggling to understand this – the supervisors are not permitted to discuss legal matters in public but it is OK for the township solicitor to discuss legal matters? Shouldn’t the more appropriate response from Donohue to Llgenfritz have been, “… this is a legal matter, and I am not at liberty to discuss”. All I can say is, wow. Donohue approved DiBuonaventuro’s letter going on the township letterhead on the township website. I suggest that he needs to go back and read it and then come up with a more convincing argument as to how his letter is not an attempt to silence those who dare to disagree. DiBuonaventuro writes in his September 5 letter, “What is more important for community to realize from this example is the disturbing trend that has developed with most of the internet elements of legitimate newspapers and the tabloid formatted blogs like “Community Matters”. Public discussion of important community matters is a ‘disturbing trend’ — whether public discussion is over the backyard fence, in the aisle of the Paoli Acme or on the Internet, it is our First Amendment right; open debate and commentary exists under the US Constitution. In fact, before I contacted Sam Stretton, I sent DiBuonaventuro’s letter to several attorneys and journalists; individuals who do not live in the area and would not know any of the people involved. Not one person responded that they thought the actions of our government in regards to DiBuonaventuro’s letter were OK. In addition, I should add that many people used adjectives like ‘chilling’ in describing DiBuonaventuro’s attempt to suppress public discussion. It is interesting that Donohue would point to the many meetings held over the Trout Creek ordinance (for the record, there were 7 public hearings), as somehow public comment at supervisors meetings was the same thing as DiBuonaventuro’s use of public resources, public letterhead and public website. Certainly, there were many meetings over Trout Creek, but I wonder how many of the Glenhardie residents feel that their voices were actually heard during the process? Donohue makes no mention of Trisha Larkin and her neighbors in the Daylesford neighborhood. Like the Glenhardie residents, how many of the Daylesford folks think that their voices made a difference to the outcome. The Daylesford neighbors, in addition to many residents throughout the township, were overwhelmingly opposed to the C-1 zoning change. However, as we all saw, their voices did not matter. Yet Donohue claims that the township “encourages and invites public input” … maybe that’s true if you happen to be developer Ed Morris or his attorney Denise Yarnoff, who now have the green light to build an assisted living facility on 1 acre on Lancaster Ave.
As a resident of Tredyffrin Township, this is all so very disheartening, including Donohue’s response to Main Line Media News. I am amazed that it is OK for the township solicitor to discuss a legal matter of a private citizen with the newspaper — to talk about a township response that he has sent to my attorney, Sam Stretton, that I have not even seen. Wow. It’s like some of the rules in Tredyffrin Township only exist when they benefit our elected officials, not the citizens. UPDATE: DA Tom Hogan Weighs In … Is it a Get Out of Jail Free Card for Tredyffrin Official? You be the Judge! There was a troubling news article in last week’s Main Line Media News about one of Tredyffrin Township’s Zoning Hearing Board members, Suzy Pratowski. TE Patch, the Daily Local and, then a couple of days ago, the Philadelphia Inquirer, picked up the story. There are several reasons why I think this story caught people’s attention, me included. The initial newspaper headline, ‘Zoning hearing board member not guilty after police are a no-show at her trial’, causing some of us a double take. Zoning hearing board member? Trial? MIA police officers? What was all of this about? Since when do township police officers not show up at trials? I cannot believe that this is a regular occurrence … I wonder when the last time was that a police officer did not show up for a scheduled hearing? Remembering back a few years ago, I decided to fight a traffic violation in Tredyffrin and showed up at my scheduled time at Judge Blackburn’s courtroom. The traffic officer who had written my citation arrived on time for the hearing with his 6 in. thick codebook ready to defend his case against me. Although I was well prepared, (albeit sans an attorney), the police officer’s testimony prevailed – I lost the case and paid my fine. The point is, my hearing was for a routine traffic violation and the officer involved showed up. From the newspaper articles, Pratowski’s case is far from routine, and she isn’t just ‘Joe Citizen’ … Suzy Pratowski is a supervisor-appointed member of Tredyffrin’s Zoning Hearing Board. For those that have not followed the case, Pratowski was arrested in Chesterbrook on May 28, charged on two counts, public drunkenness and disorderly conduct, and issued citations. The situation involved a domestic altercation between Pratowski and her former husband, Jay Ciccarone. I have read the police reports and the account in the newspaper is accurate with one clarification. When Pratowski arrived to pick up her children at Ciccarone’s house, she was not driving but rather a passenger in a car driven by an unnamed male, a designated driver. Ciccarone was unwilling to turn the two boys over to Pratowski, citing their custody agreement, which requires that Ms. Pratowski not drink alcohol 10 hours before driving and picking up the children. The police officer determined that Pratowski had been drinking and therefore the children should remain with Ciccarone. A photo accompanying the Main Line Media newspaper article showed Ms. Pratowski with township supervisor John DiBuonaventuro at a 2011 Devereux charity event. In reading the article, in conjunction with the accompanying photo, it is possible that a reader could conclude that DiBuonaventuro was the unnamed male driver on May 28. However, that assumption would be wrong … the police report names a Haverford attorney as the driver, not supervisor DiBuonaventuro. Pratowski left Ciccarone’s home without the children however, returned later that night on her bicycle and police were again called. With a PBT (preliminary breath test) reading of .18, the officer cited Pratowski with public drunkenness, disorderly conduct and returned her home in a police car. Two years earlier, in June 2010, during a vehicle stop, Pratowski was charged with DUI, having received a PBT reading of .127. Pratowski’s two children were in the vehicle at the time and although initially charged with child endangerment, that charge was later dropped. Pratowski pleaded guilty to the DUI. In reading the police report from 2010, I noted that situation also involved Pratowski’s former husband Jay Ciccarone. Concerned for his children’s wellbeing, it was Ciccarone who called the police which ultimately resulted in Pratowski’s DUI arrest. The recent May 2012 incident was Pratowski’s second involving alcohol — a second offense that could have had grave consequences for Pratowski legally. Although the charges against Pratowski were significant, it remains a real mystery as to why the police officers involved were no-shows at her hearing. Not just one police officer but two officers failed to show up. How is this possible? According to the Main Line Media News article, “Tredyffrin police Lt. Taro Landis said the officer who was supposed to show up in court that day was on another call at the time.” The police department explained the absent police officer as an ‘oversight’. Considering this was a second offense for this defendant, I do question why the police officer would have another call at the time. No mention as to why the other police officer was also MIA for the hearing. In the Philadelphia Inquirer follow-up article, Tredyffrin Police Chief Tony Giaimo cited a ‘clerical error’ on the part of the officers as to the reason they did not show up at Pratowski’s trial. He further stated that the officers were disciplined but offered no details. OK, I’m confused … if it was a clerical error, why would the police officers need to be disciplined? And where exactly did the clerical error occur; within the police department, the District Court … the police officer’s Blackberry schedule? It needs to be stated that the police officers involved in Pratowski’s May 28 arrest were not rookie cops. Allen Dori, is a 10-yr. veteran in the Tredyffrin police department and Daniel McFadden, a 20-year veteran and a certified crime scene investigator. Coincidentally just a couple of days before the Main Line Media story first appeared on August 24, both Dori and McFadden were promoted at the August 20 Board of Supervisors meeting. Police officer Dori was promoted from patrol officer to corporal and McFadden promoted from patrol officer to detective. Based on their experience and background, these two police officers do not strike me as individuals who would miss an important hearing because of a clerical error! So let me understand this correctly, if there is a clerical error and the arresting police officer (or in this case, two police officers) does not show up at the hearing, the case is simply dismissed. Does this mean that the records of the case are expunged? When a clerical error occurs, am I to understand that there is no such thing as the rescheduling of the hearing. Magically, the problem is solved and the defendant receives a ‘pass’. Wow … amazing! Based on the remarks that Police Chief Giaimo gave to the Philadelphia Inquirer, it appears that the matter is closed, but should it be? . Section 905. Removal of Members. Any board member may be removed for malfeasance, misfeasance or nonfeasance in office or for other just cause by a majority vote of the governing body which appointed the member, taken after the member has received 15 days’ advance notice of the intent to take such a vote. A hearing shall be held in connection with the vote if the member shall request it in writing. I was very sad to hear about Suzy’s troubles. I’ve known her to be a good person and I sincerely hope that she gets to a point, for the benefit of her and her children, where portions of her life are not being played out in the paper. In most cases, this would be a private matter. Back in 2005 when I was appointed to fill vacancy on the BOS, I left the ZHB and had recommended Suzy to take my place. I was happy to do so then as she was qualified and has done a good job. However, as a former member of the governing body and the ZHB, I also have to consider the consequences of actions that place confidence in our public institutions at risk. Serving is a privilege, not a right. Given the history here, I have to wonder why Suzy was not removed from the ZHB back in 2010. These latest incidents only serve to add to growing list of questions concerning the integrity of our local government. It’s even worse when there is no confidence in the police, who at various times, holds, albeit brief, a decisive role in a person’s individual freedom. 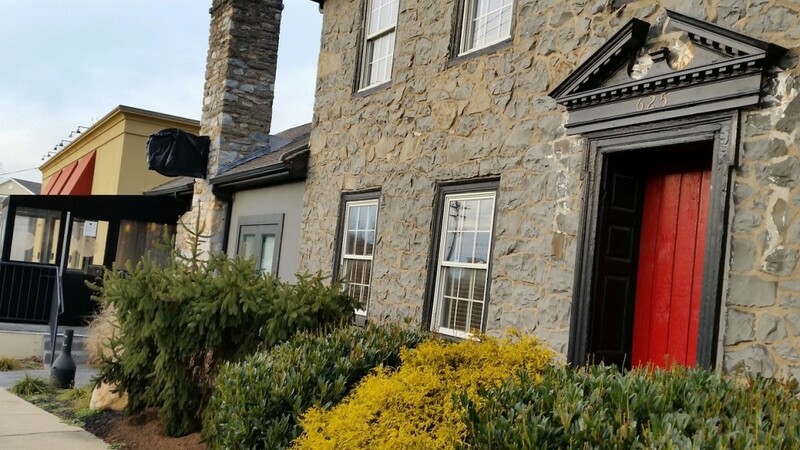 Between township staff, elected officials, certain boards and appointees or the dealings of those appointees and the police, nothing appears to be working correctly in Tredyffrin Township. I actually fear our government and police as they don’t act in the citizens’ best interest. As to the “clerical error”, as a lawyer, I find that to be hard to believe. It’s a rather generic answer – one that the Inquirer should have followed up on with this simple question: “What was the error?” The workings between the district courts, the County and the various police departments are actually quite efficient. If this was a clerical error, then it was an error that was of the same proportion of that single bullet on that fateful day on November 22, 1963. There would have had to have been errors in Judge Sondergaard’s office as well as the administration in the police department and other people. Did other Tredyffrin Police manage to show up that day for other cases, or the day prior or after? Why this case? Why this person? When was the last time this sort of thing happened? Maybe it’s a common practice? But for Suzy’s private issues and the fact that she is a public official did this one come to light? Again, it’s about the appearance of impropriety. Nobody has mentioned this yet, but I think it is fair game for DA Tom Hogan to make an inquiry here. As I see it, a full and open investigation is the only way the matter can get cleared up. We’ve already had a major scandal with former chief Chambers. And not too long before Chambers, chief Harkness was dismissed amidst a cloud of allegations the subject of which are/were part of a confidentiality agreement. Between that, alleged civil rights violations and other things – it’s not been a good time for the police or the government as a whole. For longer than I care to remember, too many bad acts. In many ways, we’ve not progressed beyond Harry Marrone. Too many questions. This really goes to the honor and integrity of people. What I’ve been seeing lately is a lot of inaction and indecisiveness from township leadership. Again I ask – when is it going to stop? When are the adults going to take charge? When can people have confidence that their government and police will treat all people fairly and equally instead of calling person’s political affiliations out as just being a “Data point?” Anybody else, with these players involved, and I doubt seriously that there would be a “Clerical error.” And when they don’t treat people fairly and equally, will those same governmental actors ever be held accountable? Candidly, I was not a fan of Giamo’s promotion – given the recent history. Has nothing to do with Tony as a person or his qualifications. It has everything to do with the integrity of the institution and the confidence that public has in that institution. Sometimes, you just have to bring people in from the outside. I believe had we had truly shaken things up, there would not have been a “Clerical error.” One simply cannot look past the fact that Suzy was at a time, a TTRC member, dating a supervisor and of course, is a member of the ZHB. Anybody who cites those factors as being irrelevant is simply being willfully naïve. I lost my political mentor John Waldeyer in 2005. He was a good man and a great steward of good and honorable political values. He always said to me that the most important thing in politics and service is to be identified with good government. Everything else takes care of itself. A lot of people forgot those words. I’ve never forgotten them. John would be absolutely ashamed of what we see today. And if he were around today, we would not see the crap we’ve seen for the last 7 years. People around here have long forgotten what good government is. No government is perfect, but it can still be good nevertheless. John exercised discipline. John was an adult. Finally, a personal plea to Suzy – if you have not done so, offer up your resignation. Doing so would mark the first time in a very long time a public official did the right thing in the face of adversity. Do Tredyffrin Township residents really need another St. Davids sidewalk saga or a ‘big check’ moment — remember the fire funding spectacle with cameras rolling? As Carla Zambelli, fellow blogger and friend, wrote on Chester County Ramblings in her post , “enough Tredyffrin. enough” … “Tredyffrin needs to get its house in order and stop sounding and acting like a Shakespearian tragedy meets a made for TV movie on Lifetime.” Carla does have a way with words, just wish in this case, she wasn’t right. I sent an email to District Attorney Tom Hogan, asking if this situation constitutes an investigation by his office. The DA called and we had a lengthy discussion on this matter. It is with his permission that I can offer this update. According to the Hogan, there has been an investigation and review. Police Chief Tony Giaimo conducted an internal department investigation and then asked for an outside review from the District Attorney’s office on the ‘clerical error’ matter. According to the internal police report, there were scheduling issues and the two police officers were not notified of Suzy Pratowski’s hearing date. The DA also reported that Pratowski’s former husband Jay Cicarrone was also not notified of the hearing date. Pratowski and her attorney were the only ones to receive notification. Hogan also offered that because of township supervisor John DiBuonaventuro’s relationship with Pratowski (and questions concerning his possible involvement), the police as part of the investigation interviewed DiBuonaventuro. The police department determined that DiBuonaventuro was not involved in the situation. The internal investigation determined that a clerical error as the reason that the two officers missed the hearing. The District Attorney’s office reviewed the police department findings and was satisfied by the report. I asked the DA how often does a clerical error occur that police officers miss a scheduled hearing. Although Hogan said that it does happen, he did say it was not common in Tredyffrin Township. I let our District Attorney know that many of us were troubled by the appearance of this situation. For the record, the District Attorney’s office has no jurisdiction over Pratowski’s continued membership on Tredyffrin’s Zoning Hearing Board – the appointment and removal of ZHB members is a Board of Supervisors matter. I had an opportunity to speak to DA Tom Hogan on the matter. Normally, jeopardy does not attach in a case like this until the first witness is sworn – when the trier of fact (the judge in this case) has begun his journey of fact finding. This is all about protecting a defendant’s 5th amendment rights to due process, and specifically, a defendant’s right to not be tried more than once for the same crime. In this case, the judge had 3 options (really only two legitimate options in my opinion). The first is to find the defendant not guilty and close the case. This would NOT have been appropriate in my opinion because the prosecution was not present due to what has been regarded as an honest clerical error. How could a judge weigh facts that were not presented? The big problem with this option – jeopardy attaches. To review, in this case, not only did the police not show up, but the judge took the one choice that assured this matter went away forever. The other two options were to 1 – dismiss without prejudice – giving leave to the police to re file the charges or 2 – to simply continue the trial. It seems to me the one that was most prudent in this case was to simply order a continuance. That would have remediated the clerical error and it would not have resulted in any constitutionally protected rights of the defendant being violated. Dismissing the case would have required the police to re-file charges – which would have resulted in additional time and expense. Apparently, Judge Rita Arnold, another DJ, successfully quashed a citation against her son. In her case, she was suspended for 30 days. She’s back on the bench. As for her son, he gets off scot free. If you are thinking it pays to have connections you are right. I have been told there is a strong likelihood of a memo going out to DJ’s that gives better guidance on when it’s appropriate to make a determination on guilt vs. a dismissal vs. a continuance. It’s a bit concerning that guidance has to be given on this. Shouldn’t judges know better? The DJ system is broken and this reinforces my opinion that DJ’s need to be lawyers. This often surprises folks that DJ’s don’t need to be lawyers. My conclusion on this – we’ll likely never know what really happened here. I have to ask whether a regular, non-connected person would be as lucky? The answer is absolutely not. Justice was not served here. And yet again, a connected person caught breaks that non-connected people don’t get. I am left with no other conclusion that this particular defendant was helped by many people with influence. How and why do I conclude that? Because there are no facts to suggest otherwise. I have no faith in any aspect of our local government, it’s people and it’s ability to do the right thing. Your Holiday Twinkle Lights Could Net You $500 & T/E School District Could Win $100,000! Patch.com (owned by AOL) is running a special nationwide holiday “Deck the House” contest for their 860 local Patch sites. 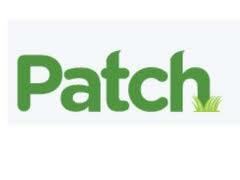 Our local patch site is TE Patch and Bob Byrne is the editor. All of us that have holiday decorations and lights on our homes should enter the contest. Contest entry period is open until Monday, December 26 at 11:59 PM. Nominate your home by uploading a photo for the contest and entering the contest. Here’s the link to enter: deckthehouse.patch.com/contest/media.patch.com. The Judge will select 24 finalists that will proceed to the National Voting Phase which begins starts at 9 AM on December 30, 2011 and ends at 11:59 PM on January 8, 2012. The twenty-four (24) high scorers are named the finalists and each will receive $500 to use for December electric bills. For the Grand Prize Winner who receives the highest number of votes, Patch will donate $100,000 to the public school system where the winning home is located. Enter right now as the Deadline is Monday, December 26, 2011 at 11:59 PM! 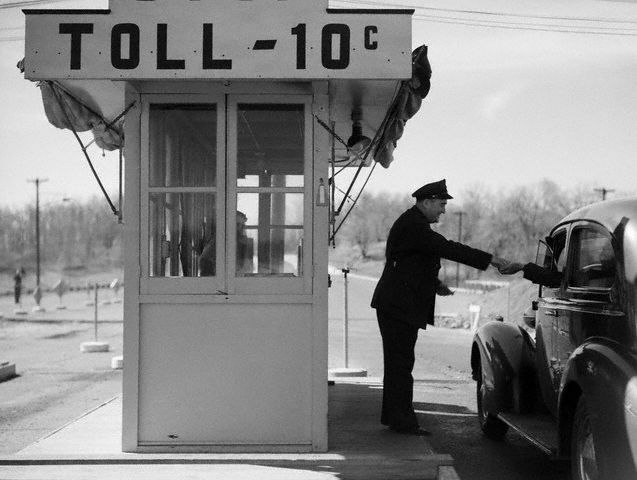 The ‘To Toll or Not to Toll’ discussion continues . . . the tolling of 422 continues to make headlines and yesterday was a busy day for legislators on either side of the issue. In an op-ed article (6/9/11) in the Philadelphia Inquirer, Joe Hoeffel (D), vice chair of the Montgomery County Commission and chair of the Delaware Valley Regional Planning Commission, wrote, “there isn’t enough state or federal money for the job. The state has budgeted $250 million for the Route 422 corridor over the next decade, but transportation experts agree that $750 million is needed. And nobody believes the legislature or Congress will provide that kind of funding anytime soon. Without a new funding source, 422 will not be fixed for at least 30 years, according to projections by the state Department of Transportation. By that time, the highway will be gridlocked for much of the day.” Hoeffel supports tolling of 422 and believes that a modest toll could generate $800 million in a few years. Opposing the tolling of 422, state representatives David Maloney, (R) Berks, Marcy Toepel, (R) Montgomery, Tom Quigley, (R) Montgomery and Warren Kampf (R), our 157th district representative, held a news conference in Phoenixville yesterday. Calling the 422 project, the Hoeffel Tolling Plan, these local legislators do not believe that tolling is a viable option to pay for infrastructure improvements. Click here for a short video clip of the press conference. There continues to be much written and discussed about the tolling of 422. Depending on how you feel about the topic, you can find supporters on either side of the issue; those for tolling and those against tolling. However, regardless of your personal views on tolling, I think we can all agree that the traffic congestion on 422 is a commuter’s nightmare and that something needs to change, and. . . we need people with a vision to encourage that change. As my elected State Representative, do you believe that there is a traffic problem on Route 422? Thank you and I look forward to your response. Thank you for your email. I welcome the opportunity to respond. As you may have heard, I am on record as being against tolling 422. I believe that this “toll” is just another name for a tax on the already overburdened commuters of that roadway. But I recognize that 422 is a transportation problem for commuters. The idea to address 422’s needs without tolling is not solely mine; Governor Corbett has convened a Transportation Funding Advisory Committee that is looking at over 50 prospective ways to address the funding gap for our road/bridge infrastructure (tolling is one of the options but in no way is it the only option being discussed). I believe that prioritizing, finding cost savings and advocacy for our regional roadways must be tools considered as part of the discussion too. I have empathy for the people who drive that roadway, and I have my own personal experience on 422 to draw from. We all pay the same gas taxes and vehicle fees that others in Pennsylvania pay, but the response to fix our road has been to ask my constituents to pay up to $5 a day more for the privilege of driving that road! That just seems unfair. Other areas have had road and bridge needs addressed. PennDOT does have a larger plan for the area’s roads. As you know, 202 is getting significant improvement. Route 309 was also rebuilt. These projects came to fruition not with tolling revenue but with the already existing sources within the Commonwealth that I mentioned above. Why is 422 unique? There is over $240 Million currently programmed for improvement of 422 during the next eight (8) years within the PennDOT plans. This is in the plan without tolling. While it is not enough, and does not come fast enough, it will be a good start. Tolling does not appear likely to make this set of improvements happen any faster that I can tell. Further, this proposal is being billed as a public private partnership, but fundamentally it is almost entirely public money—both tolls and other transportation funding—that will pay for these improvements. Finally, there is a rail line proposal in the mix here, paid for with toll money. While I certainly recognize the attractiveness of restored rail to towns like Phoenixville, this will in all likelihood require management by SEPTA, or some such entity, and we know such rail lines usually run at a significant deficit year in and year out. That cost will ultimately pass on to the taxpayers, and I campaigned on a platform that promised the taxpayer, in tough times such as these and in good times, a seat at the table when these decisions are made. I feel I am making good on that commitment but seeking alternatives. As a final thought, we built 422 with public money. We have maintained it with public money. We have continued to collect those monies and have an obligation to serve the people who drive that road. One could argue it would be a violation of the public trust to change the game now and introduce tolls. The 422 corridor continues to grow in large part because of the access that road provides. Indeed, it is a road regularly used for shopping and other trips not related to “commuting.” I believe my constituents feel as I do, and I welcome your input.